Gluten free flour – does it really work? Let’s put it this way, steam makes you bread so much better, it’s that simple, baking with steam will change the way your bread loaves dramatically. It is not coincidence that steam-injected ovens cost so much more than the regular ovens, these ovens are for the professional, not for the home baker, however, at home we can get to good results with simple measures. How does steam affect the bread? Like I said steam is important for the bread baking, it affects the crust, the color and the volume of the bread, let’s get a bit more detailed into every aspect. Controlling volume of the bread deserves our attention since it depends on the bread proofing. If a bread is under risen, we will need more steam because the steam moistens the surface and allow the bread to rise more during baking. If the bread is over risen we need less steam, we want achieve a firm crust fast and stop the enzymatic activity in the bread. The color of the bread is directly affected by the amount of steam we use, it prolongs the enzymic activity on the surface of the loaf, especially in the early stages of baking. These enzymes break down the starches of the dough into sugars, when coming to contact with heat it produces richer color. Crust firmness and sheen are also related to the steam since the moisture in the initial baking stages enabling the surface to gelatinize due to the moisture on the loaf. The result is that the starches volume swell and become glossy resulting in a shiny crust. Our bread loaves can enjoy steam only in the first third of the baking process, afterwards it will not benefit the bread at all, steaming in the middle-last stages will actually create an opposite reaction when the bread crust is softened instead of being firm, in the last stages of the baking we are interested in a dry environment to harden the crust. 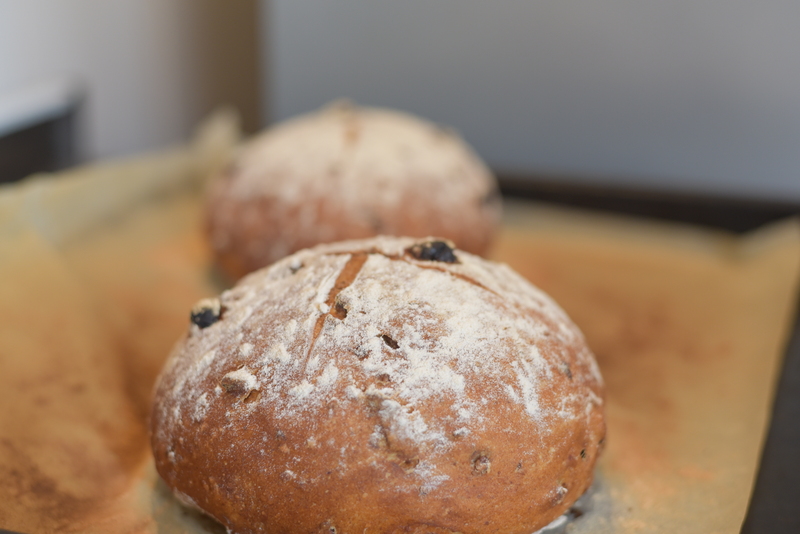 For home bakers, I would recommend 2 stages of steam, the first one is by adding ½ cup of water to the oven while it’s preheating, we want the oven to be full of steam when we load our bread. The second steaming is about 3 minutes after the breads have been loaded into the oven, just throw a few ice cubes on the surface of the oven and immediately close the door, this way we will ensure a moist environment for a longer period of time allowing our bread to reach its full potential.